The Focus Group is located directly on the Gulf Coast, and one thing unique to coastal culture is boating. 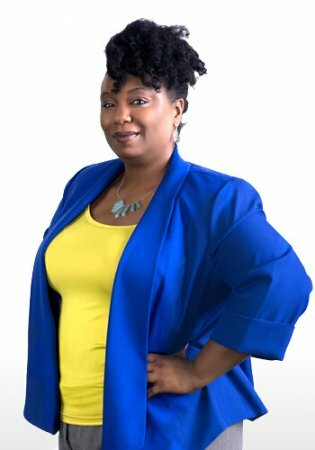 When the team from Gulf Coast Shows came to us with an opportunity to help promote their shows, we immediately went to work identifying their challenges and designing solutions using our creatively led and digitally driven methodology. Up first was an evolution of their brand which is family-friendly, best deals of the year and a legitimate tourism destination. 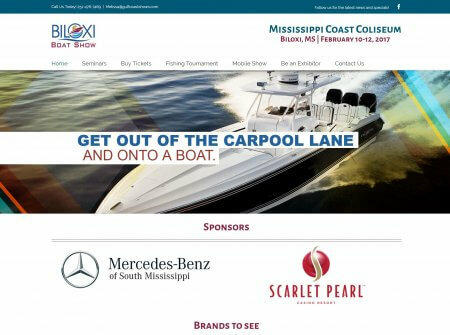 Knowing this was the foundation of their success we used our Creative Director Cece Shabazz’s expertise in creative psychology to put her team to work on a new brand package for the Biloxi Boat Show. 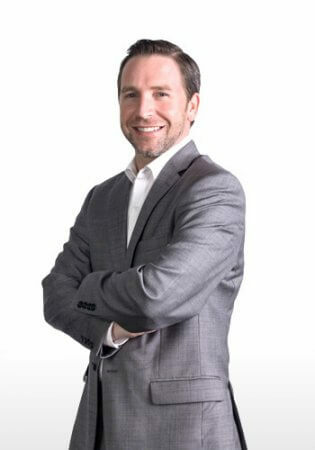 Traditional media was an important part of this campaign and Ben Hunter worked closely with the boat show team to ensure coverage was utilized on TV, radio and print where it made sense. Buying traditional media can elevate a brand message, but sometime you have to be sure you are getting the best value for your ad buys. This is where Ben becomes an invaluable partner for all of our clients. 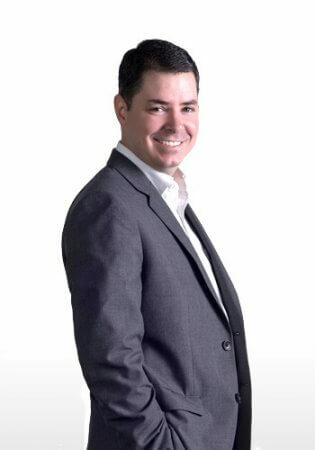 His expertise in the media industry is on both sides, buying and media sales. 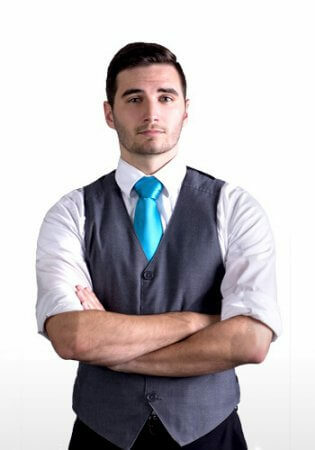 To learn more about his background, take a second and get to know Ben. Another asset to creating a TV commercial is the duality of using those commercials on social media. From Facebook, Twitter and Youtube you are able to create entire new audience opportunities thanks to the targeting, remarketing and behavioral marketing options through those networks. We also knew social and digital media would be instrumental in bring in new visitors and more visitors that were ready to purchase a new boat. Task 1 – update the website. Our lead developer Tyler Johnson put together a plan to create a new site using WordPress that would all them to share large pictures, event schedules, special events and more all through a mobile friendly responsive site. Task 2 – revamp the social media outreach. 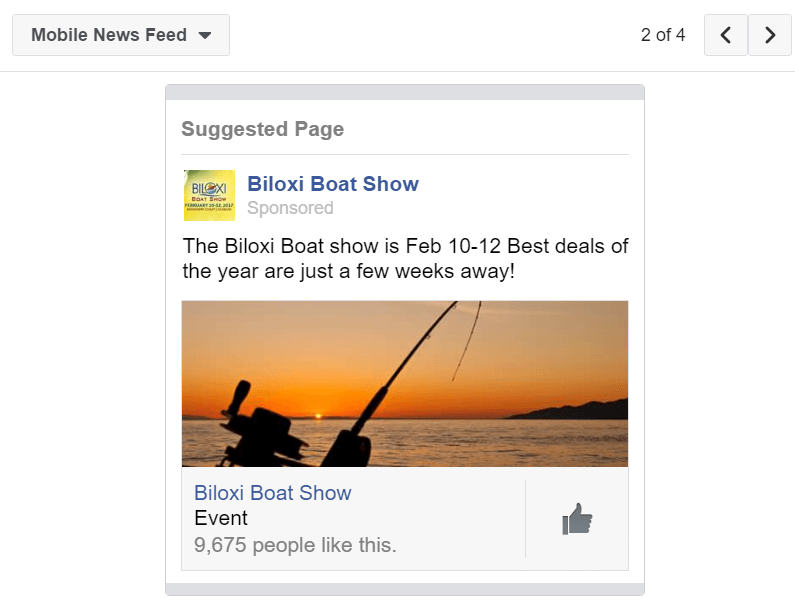 Our Director of Digital Services Thomas Broadus used his expertise to utilize Facebook and Google display advertising that was hyper targeted using interests, behaviors and demographics to get the message directly to the people that would enjoy a fun family event featuring boating, fishing and kayaking. Our online social ads were on Facebook and Instagram, while out Google display campaigns were featured on ESPN, CNN, and many of our local media sites. 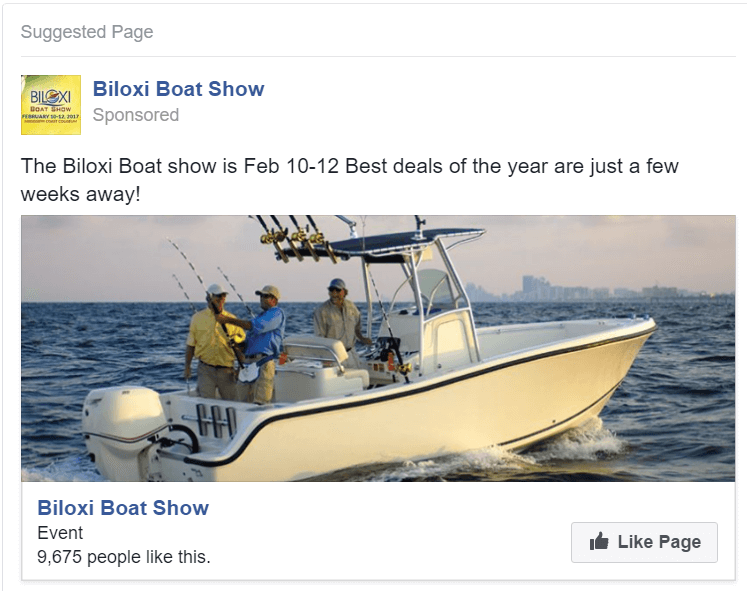 Utilizing targeting and photo driven storytelling we were able to bring the weekly reach for the Biloxi Boat Show Facebook page to over 100k per week. 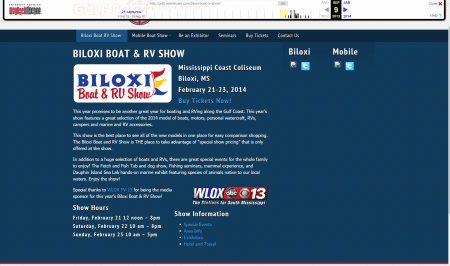 Updating the look, feel and modernizing the outreach of the Biloxi Boat Show was a success. The 2016 show saw more active buyers and an increase in vendor activity. 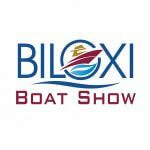 With a strong base of creative, tradition and social media marketing we’re excited to see the new heights the Biloxi Boat Show will be able to reach as they head into their 60th anniversary.